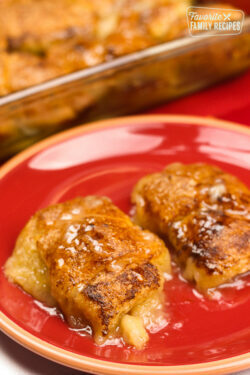 This Lion House Cinnamon Rolls recipe comes directly from the Lion House Pantry on Temple Square in Salt Lake City, Utah. They are the best cinnamon rolls! 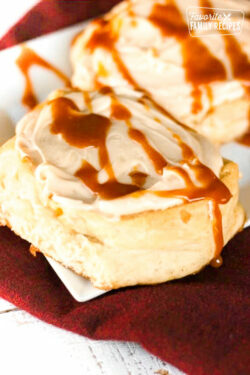 I am so excited to share this recipe for the famous Lion House Cinnamon Rolls! It comes directly from the talented Executive Chef, David Bench, at the Lion House Pantry on Temple Square in Salt Lake City, Utah. 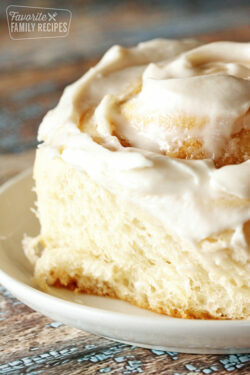 These cinnamon rolls are the best! 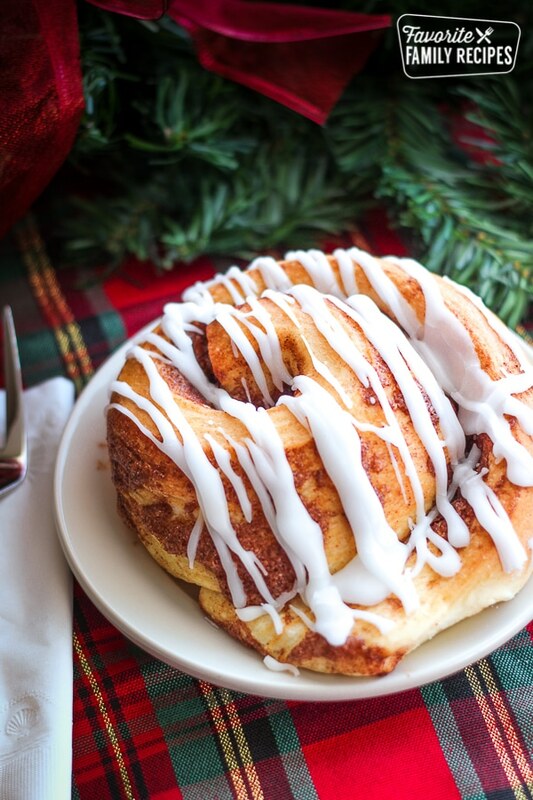 They take me back to the holidays of my childhood when my mother and grandmother made big, beautiful, homemade cinnamon rolls. It is an art and it takes practice, but it is so worth it. I had the pleasure of visiting Temple Square in Salt Lake City with my family. The Christmas lights on Temple Square are magical! If you live in Utah, or will be visiting during the holidays, it is a must see! We loved the Christmas lights, the beautiful Christmas music, the lovely life-size nativity scene, and the delicious food. We stopped by the Lion House pantry for these cinnamon rolls and hot chocolate, the perfect treat after being outside looking at Christmas lights. If you would like to learn more about what you can see and do at Temple Square during the holidays, you can see their holiday venue hours and activities here. 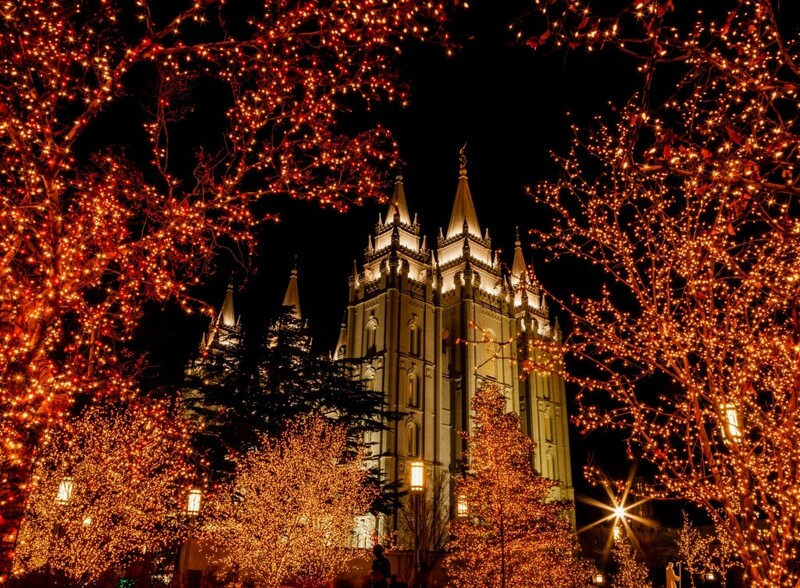 This photo of the temple and beautiful Christmas lights on Temple Square is courtesy of Temple Square. Place water, oil, eggs, vanilla, and dry milk powder in the large bowl of an electric stand mixer and stir vigorously until milk is dissolved. Sprinkle yeast over liquid mixture then add the 1 cup sugar, salt, and flour. Put dough hook on mixer and mix for 10-15 minutes at low speed. The dough will be very sticky. Cover bowl with plastic wrap and let rise until doubled in size, about 1 1/2 hours. Turn dough onto floured surface and roll out into a rectangle shape. Roll up rectangle lengthwise and cut into one-inch slices. Place rolls on cookie sheet, cover with plastic wrap and allow to rise until doubled in size, 1 to 1 1/2 hours. Bake at 350 degrees for 12 to 14 minutes. After baking, let cool slightly before frosting. Frost with Buttercream Frosting. In a large bowl, blend powdered sugar, butter, and 3 Tbsp of the cream with an electric mixer on low speed until combined well. Slowly add the rest of the cream, 1 Tbsp at a time until creamy and smooth, but not runny. Add vanilla and mix again. This didn’t even kind of work. Dough was so sticky after almost 2 hours that it couldn’t be rolled. Held no shape to roll it up. Something is off with water or flour proportions here. I’m sorry these rolls didn’t turn out for you. It probably has to do with a difference in humidity and altitude. This recipe is made in Salt Lake City, Utah – a dry climate with an altitude of 4,300 feet. The dough should be sticky – but not sticky enough that it can’t be rolled. For more humid climates and higher altitudes, extra flour should be added to the dough. I measure the flour from the container with a measuring cup. The dough will be a little sticky, but if it is too wet to hold any shape, add about 1/4 cup flour at a time, mixing well after each addition. You don’t want to add too much flour or the cinnamon rolls will be dry. Hi! How many do you typically get out of this recipe? This recipe yields approximately 18 cinnamon rolls. Thank you for asking! Hi! How many do you typically get from this recipe? This recipe yields approximately 18 cinnamon rolls. Thanks for asking! Thanks! Didn’t mean to post this question twice. ??? ?